1. What will be funded in this Round? 2. How comprehensive do I need to be in the funding application? 3. Can I be a co-investigator on two projects? 4. There is up to $2M available for “emergent opportunities” for each Focus Area. Is that part of the current Request for Proposals and if not, how do I apply for that? 5. Does the reference to health promotion in one of the research priorities for the Ageing and Wellbeing focus area, imply adhering to the model contained in the Ottawa Charter? 6. Our programme of research will have several linked projects. Can they be led by people from different departments but all from the same institution, and do these people need to be senior academics/researchers? 7. The Request for Proposals mentions a face-to-face meeting between the Ageing Well directorate and representatives of selected Expressions of Interests. Is this an interview and part of the assessment process? 8. The Expression of Interest (EOI) template mentions that budget for EOI and Full proposal need to be within 5% of each other. What happens if we have to alter our planned Full proposal after the discussions with Ageing Well, or in response to assessing panel feedback? 9. Are diagrams, figures, tables etc included in the Expression of Interest page limits? 10. Can we submit the same or an overlapping proposal to Ageing Well and another funding agency? 11. Do we send our proposal directly to Ageing Well? 12. 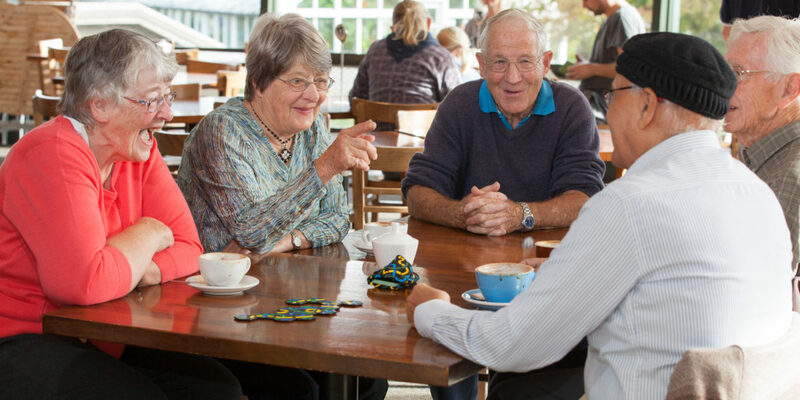 Is there a close-off date and time for questions to ageingwell@otago.ac.nz? 13. How will I find out about the key dates for funding opportunities in 2019-24? 14. Can you please tell me whom shall I contact for any further enquiries? Outcome focus: The research plan will articulate how transformation will be achieved, in relation to the Focus Area outcome statement, and provide a meaningful performance evaluation framework that will be used to provide evidence of progress towards achieving the outcome. Innovation: Research plans will show innovative, high quality, and potentially transformative research. There is space for high risk/high return work. Coordination and Coherence: The research programme will have strong coordination, with a coherent plan for research delivery. Leadership: Plans will require a recognised leader who will have overall responsibility for the programme, including coordination of activities between collaborators and delivery of the research plan. Best team: Requisite experience and expertise to deliver the planned research programme. The team will be multi-disciplinary and must be multi-organisational, include stakeholders and/or end users and have national reach. Research workforce development: Research programmes will support the acquisition of relevant research skills, including for those working in community settings, when relevant. Outcome equity: The research plan will propose solutions that deliver equitable outcomes for groups, including Māori and Pacific peoples, or make major contributions to addressing existing inequalities. Engagement: Work closely and sustainably with stakeholders and end-users, to influence research direction and drive implementation. Includes expectation of significant co-creation of research plans and partnership in research delivery. Involvement of Māori: At all levels, including stakeholder interactions, research leadership, planning and delivery, and knowledge transfer. The Expression of Interest application template identifies the types of information required. The Request for Proposals is not seeking specific projects, but rather for a thematically integrated programme of work (i.e. multidisciplinary, multi-institutional work) in one of our proposed two Focus Areas: Health and Wellbeing in Ageing, and Ageing in Maori. The Challenge is seeking a comprehensive programme of work relating to one of more of the specified research priorities. For more information please visit www.ageingwellchallenge.co.nz. An individual may be named on multiple proposals. However, we encourage people to work together rather than having ‘rival’ project level bids. A project proposal does not meet the requirements of the Request for Proposals; rather an integrated, comprehensive programme of research is sought. You are correct that Ageing Well has identified the need to allocate some funding to “emergent opportunities”. This is to allow the Challenge to follow up on unexpected findings from the first tranche of work. The emergent opportunities funding is not part of the current Request for Proposals (RfP). The RfP is seeking only proposals for integrated, multi-institutional, multi-disciplinary programmes of research in the two Focus Areas. Up to $5M is available for the programmes in each Focus Area. These proposals might, of course, incorporate some work that builds directly from the Challenge’s tranche 1 research. Further details about the emergent opportunities funding will be released by Ageing Well in 2019. While the Ottawa Charter provides a good model of an approach for health promotion, Ageing Well did not intend to restrict research approaches to any specific model. Potential applicants reading the research priority that mentions health promotion are encouraged to be innovative in how they think about culturally appropriate interventions to sustaining physical and mental capacity, and social connectedness. It is good that you are planning an integrated programme of research. A specific requirement in the Request for Proposals is that the work is multi-institutional; different departments in one institution will not fulfil that requirement. It is important that the multi-institutional make-up is meaningful and shows significant collaboration. The leaders of various “projects” within the programme should all have the appropriate experience and expertise, to give the assessing panel confidence that the research can be delivered as proposed. The overall programme leader is expected to be very experienced and have a track record that indicates s/he can run a complex programme of research. No, the purpose of the meeting (which may be by video-conference) is formative – it will provide an opportunity for the Challenge to present feedback from the assessment process more fully, and to answer questions about the expectations for the Full Proposal. The meeting opportunity will be offered only to the small number of Expressions of Interest which are being invited to submit a Full Proposal. The Challenge is particularly interested in sharing suggestions from the assessing panels about how a Full Proposal might be strengthened; for example, what other ongoing work might be useful to link with, what expertise might need to be bolstered, what deliverables might help the Challenge meet its Objective. Significant changes to the budget between the EOI and the Full proposal will require explanation; one possible explanation might be that changes are in response to discussion with the Challenge about the proposed work. Yes. Page limits will be strictly enforced; proposals over the limits will not be accepted. You may, however, Ageing Well would expect to be made aware of this. At the Full Application stage, any overlap with other proposals will have to be made clear. If a proposal is to receive funding from Ageing Well there will need to be discussion with the other funder to clarify which elements Ageing Well might fund. Proposals must be received at ageingwell@otago.ac.nz, as a PDF. The close-off for proposal submission is midday Monday 17 December 2018. Remember, it must be clear that the proposal has had sign-off by the host institution. Ageing Well does not need an actual signature; it is sufficient for the covering email to name the individual representing the host institution who has approved the proposal. We would prefer that any questions are sent before 12 pm Friday 14 December, so we can post a response before close of business that day. Proposals are due midday Monday 17 December. Please keep a close watch on our media releases, newsletter, and website. We will be updating our social media on regular basis with all the latest information. We have scheduled five Roadshows to distribute information about the next round of funding opportunities in 2019-24.